The authors of the book, Real-Time Digital Signal Processing: from MATLAB to C with the TMS320C6x DSPs, are Thad Welch, Cameron Wright, and Mike Morrow. If you want to read the stuffy biographical information as listed in the front matter of the text, just click here. 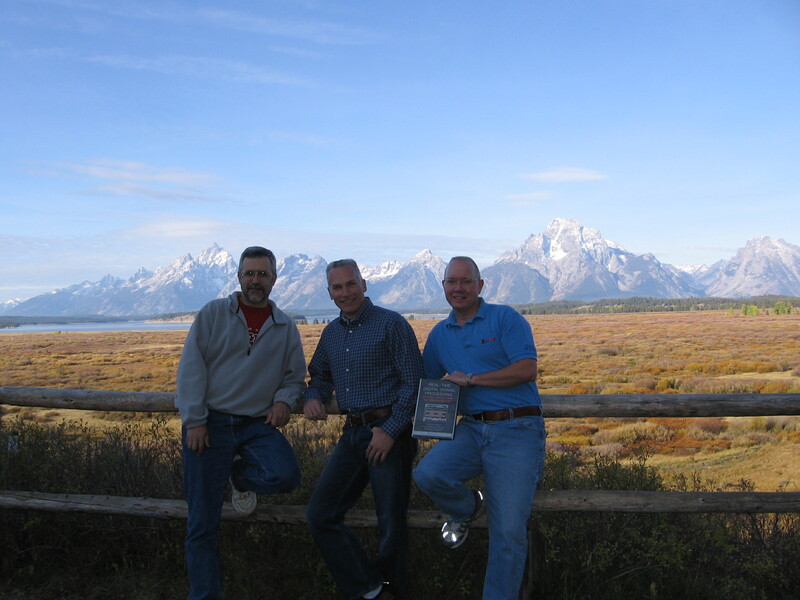 A bit less formal is this photo of us, holding the first edition of the book just outside the Jackson Lake Lodge, Grand Teton National Park, Wyoming. Mike is on the left, and Thad is on the right. You can figure out who is in the middle... Still too formal for you? How about this? We're wearing our eDSP polo shirts (eDSP is Mike's company). Here's an even less formal shot. Cam thinks that Wyoming is under-appreciated, so he created this little "virtual tour" for you.